Stands 30" tall; base is approx 6" x 8"
This fellow could be an undertaker who got careless. 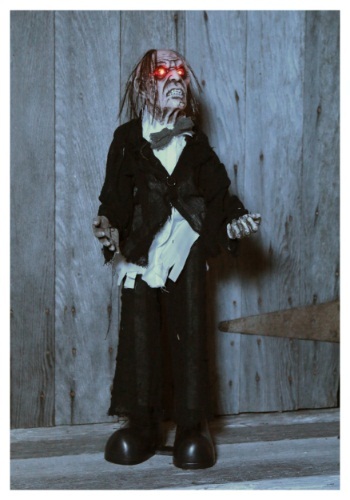 This 30 Inch Black Moving Zombie Prop will startle your guests with his flashing eyes, moving arms & head, and evil cackle! Put him on a covered porch to greet your guests, or in a quiet corner. He's super-spooky!